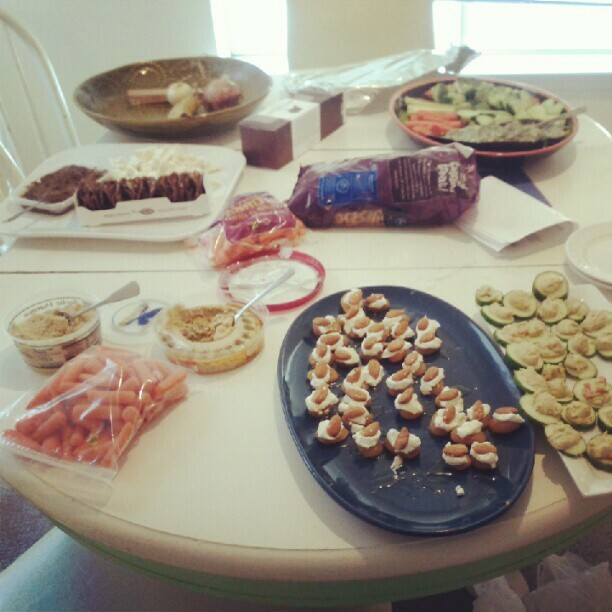 the spread. 3 different hummus! Have you ever seen the movie Mermaids? 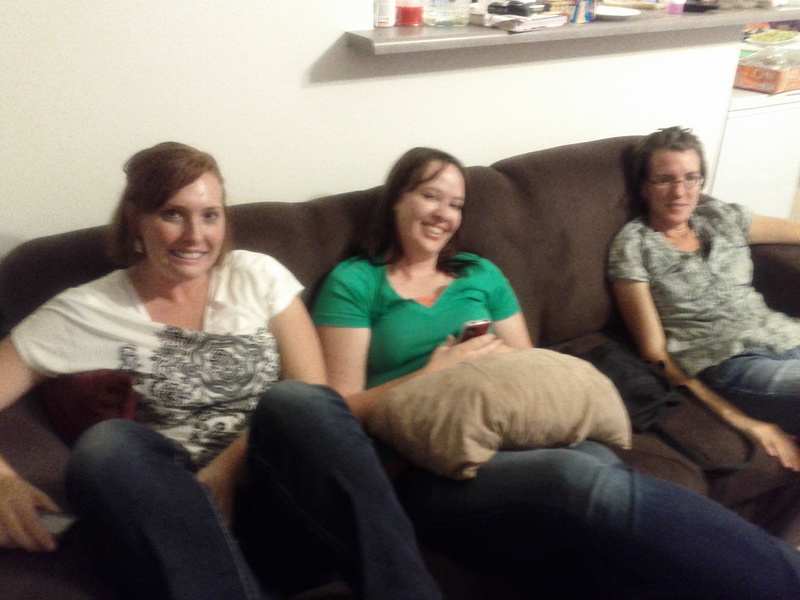 Not a great movie but in it the mother cooks only appetizers. I think that would not be a bad way to live. You can pack so much flavor into a little bite. 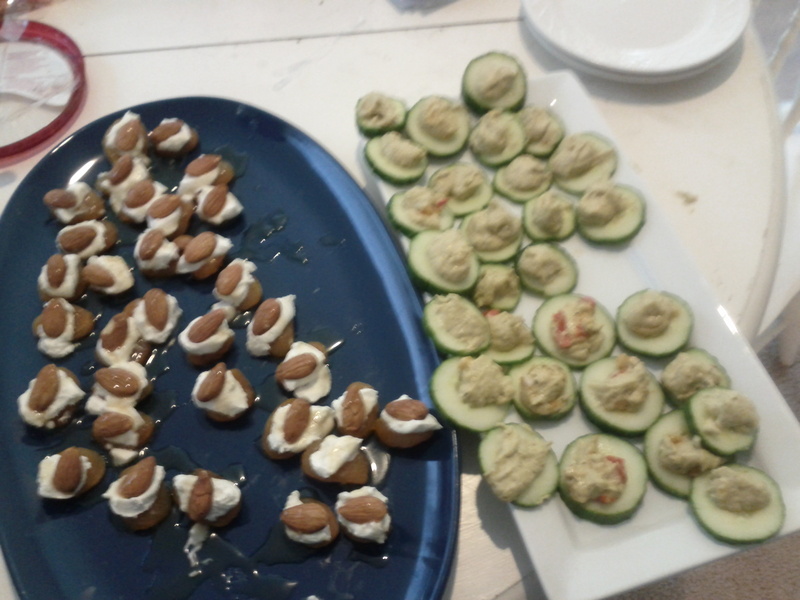 The 2 appetizers I made were cucumbers with lentil spicy hummus and apricots with goat cheese and almonds. The recipe for the apricots I got from the blog The Reluctant Entertainer. A simple but delicious recipe. Summary: Makes about 20 bites. I always double the recipe. Place the apricots on a platter. Mix the goat cheese and milk or cream until smooth. Put a spoonful on each apricot. The cucumbers are just sliced cucumbers with spicy lentil hummus from Eat Well Enjoy Life Hummus. It is expensive but very delicious and good for you! I like they say ‘a new hummus experience’ on the label. 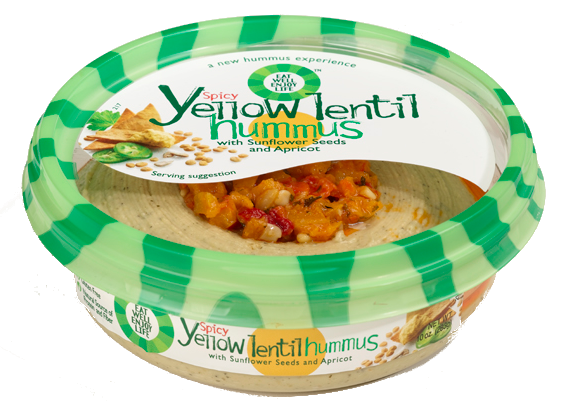 I didn’t know you could have a hummus experience but there you go!